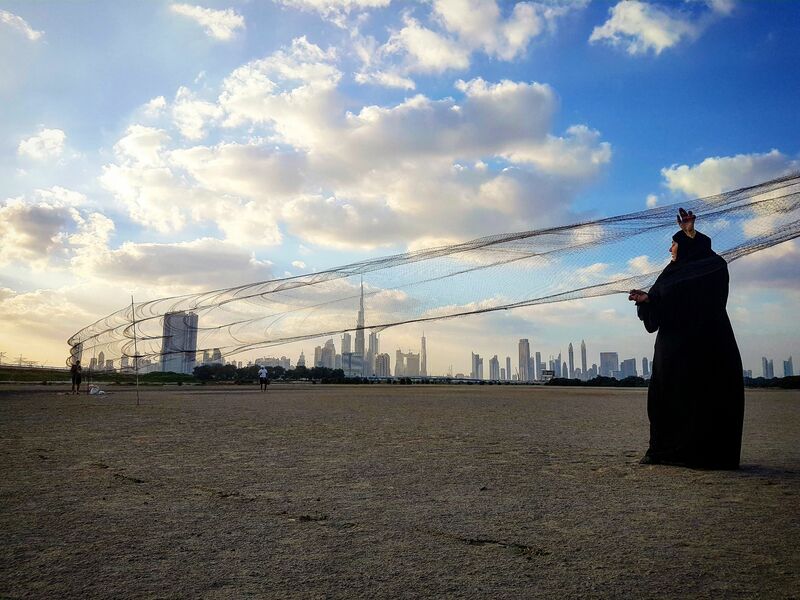 We have recently returned from working with conservation staff of the Dubai Municipality to provide a training course on the safe capture of waterbirds for ringing. The team were mainly based at Ras Al Khor Nature Reserve, the first wetland in Dubai to receive Ramsar status and a site of global importance for wintering waterbirds. The training course kick-started with a classroom day of presentations which highlighted the importance of coordinated flyway-scale waterbird monitoring and how knowledge gained from bird ringing underpins this and assists with the conservation process. This was followed by five days of fieldwork. In order to support the team in developing a waterbird ringing programme, we helped to demonstrate how to use various catching methods, including the use of whoosh and mist nets. The team of ten people, some of whom have attended other waterbird ringing courses conducted by WWT, were shown how to safely remove birds from nets and handle them, and the ringing process including how to take various measurements to assess the condition and health of the birds. 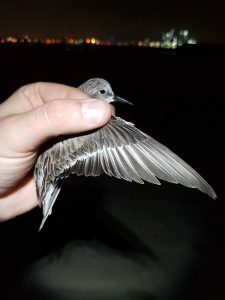 The bird ringing sessions were undertaken both during the day and also during the hours of darkness, with the bright lights of Dubai City and the world’s tallest building often providing a colourful backdrop whilst the team worked on in to the night. A nice variety of birds were captured over the five-day period including – Dunlin, Bar-tailed Godwit, Curlew Sandpiper, Lesser Sandplover and even a Cream-coloured Courser! The trip provided an excellent opportunity to provide both further training for experienced DM staff and volunteers and an introduction to ringing for the novices in the team. 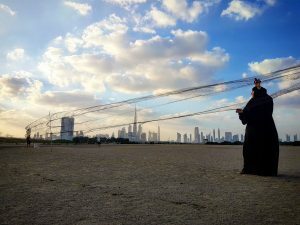 With the knowledge gained we hope the team will continue their training in order to take forward long-term ringing of waterbirds within the United Arab Emirates, and thus support waterbird conservation in the West Asian-East African flyway, which is of international importance for many migratory waterbirds. If you would like support in developing a waterbird ringing programme at your site please contact WWT Consulting.